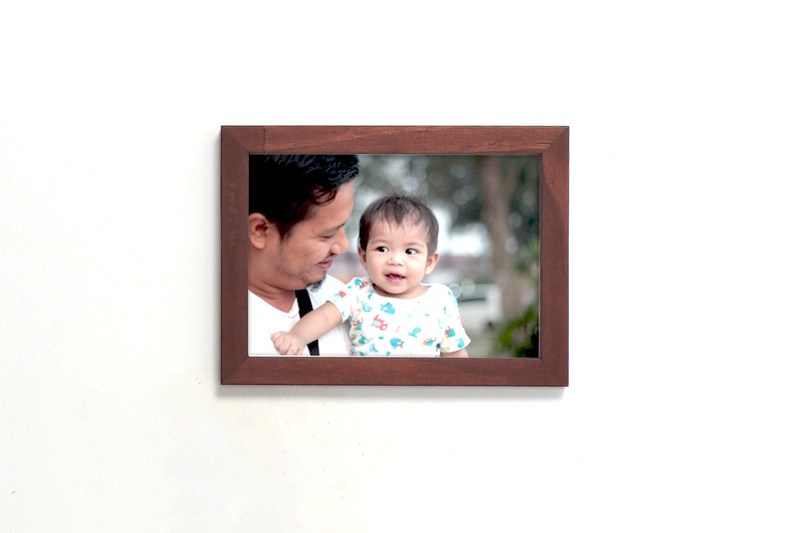 Dad’s love a sure thing, and you can’t go wrong with this gorgeous wood frame. The 6x8 size is perfect for his desk, the kitchen wall, or over a crackling fireplace. Nothing says elegant quite like the Nomad frame. A black boundary with a hint of gold takes any photo from your camera roll and turns it into the classiest item the room. A fun frame for the bright moments in life. Kiwi has a well-balanced ratio of frame to mat and comes in vibrant primary colors. It’s aesthetically pleasing to dads with a discriminating eye. Yellow or blue, you can’t go wrong with either choice! 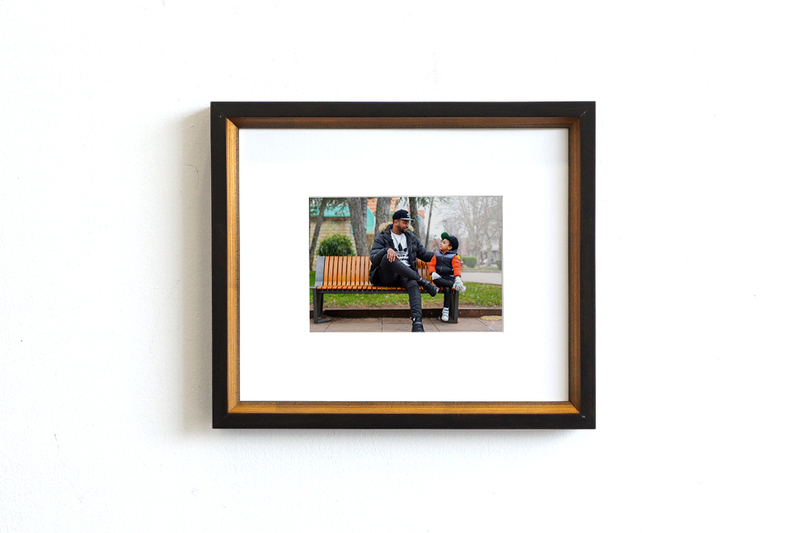 Maybe you already gifted a Keepsake frame to a dad in your life? Luckily, there’s no such thing as too many. And since we just launched our brand new collection of metal frames, he can’t possibly have “Arcade” yet. Arcade is a timeless frame and perfect to display dramatic scenes, artistic shots, or beautiful high definition portraits. 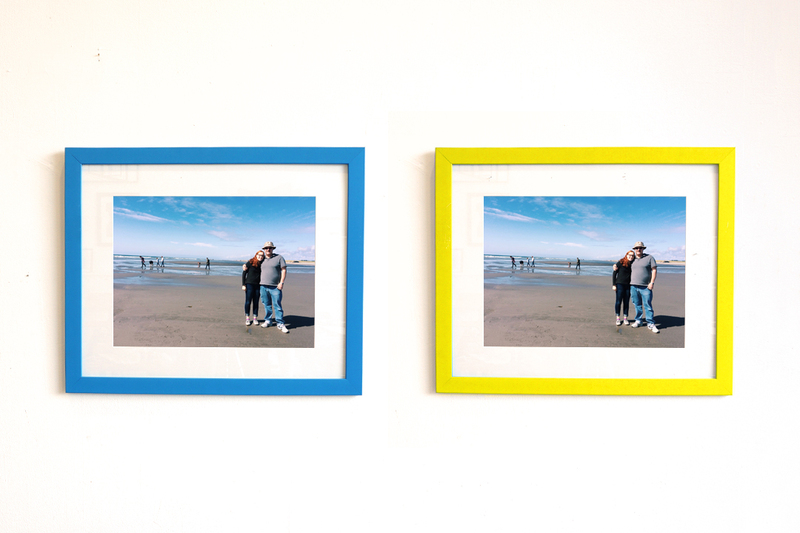 No matter what kind of photo, Keepsake has the right frame to make it stand out! 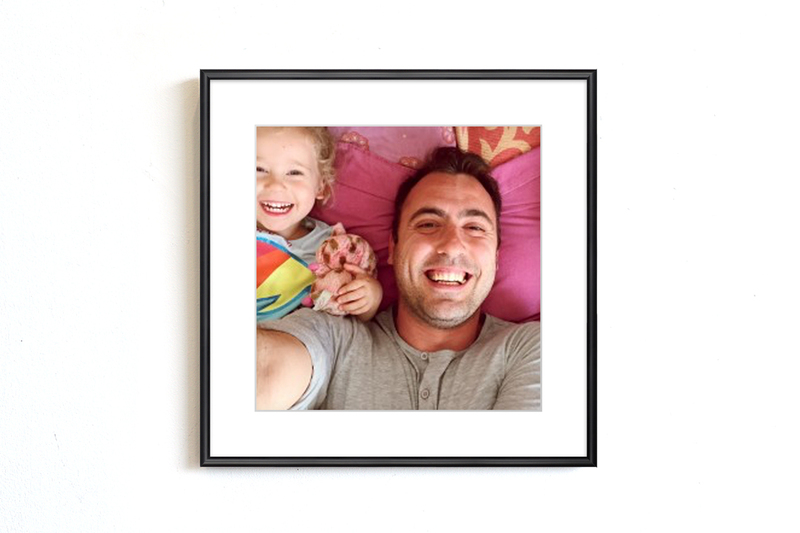 Start framing now online or in the Keepsake Frames app. Create a beautiful framed photo in minutes. Every frame is handmade in the USA!